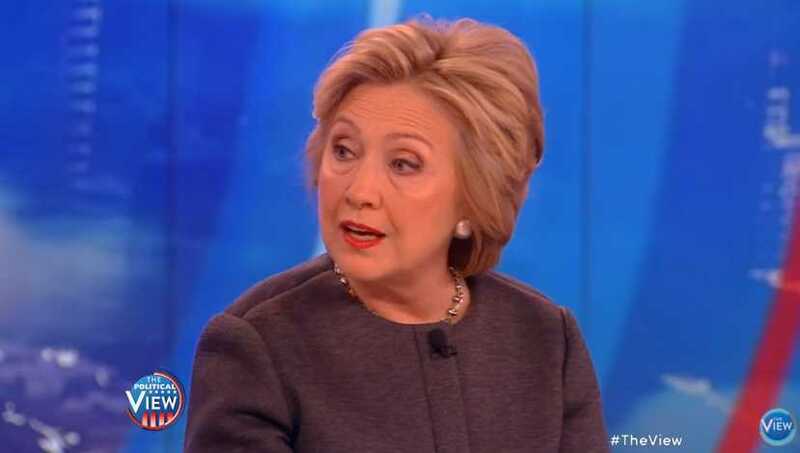 During an appearance on ABC’s “The View” this week, Democratic presidential candidate Hillary Clinton asserted that she is a Christian who takes her faith “seriously” and a “praying person” when asked why evangelicals should consider voting for her. Clinton also replied to Cameron that Americans need to “show great respect and support for religious freedom,” and stated that she believed terror groups such as ISIS target minorities such as Christians and Yazidis. “I want to defend people’s right to have their religion, and I of course will always support and defend my faith, but I will not impose it on anyone else, and I will not ask the government to create conditions where that happens,” she said. Prior to Cameron’s question, in hearkening back to a statement Clinton had made on NBC’s “The Press” that the “unborn person” doesn’t have constitutional rights under the law, co-host Paula Farris asked Clinton if she believed unborn babies could be aborted any time up until birth. Cameron Bure had also asked Clinton if she believes one can be both pro-life and feminist. “Of course you can be a feminist and be pro-life,” Clinton said. Despite her claims to be a Christian, some have spoken out against Hillary Clinton, noting that her beliefs and policies run contrary to the word of God.